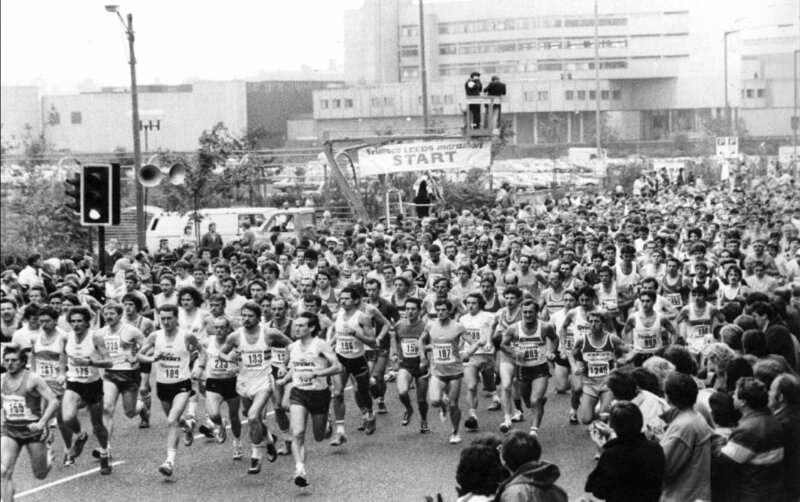 Valley Striders was founded in July 1982 by a group of runners looking for a Club which concentrated on distance running – road, cross-country and fell – rather than a ‘normal’ athletics club biased towards track and field. The name refers to the Meanwood Valley in North West Leeds, around which many of the early training routes were based. By 1985 the Club had nearly 150 members, but some of these were based at Ben Rhydding and a breakaway group subsequently formed Ilkley Harriers. Membership remained around the 100 mark for a while but in the last few years has gently increased to over 250, plus over 100 juniors. The Club started with a constitution and minuted meetings, but this didn’t last long. A new constitution was written in 2008 and some Striders have been seen attending committee meetings but generally the club runs with a very relaxed approach! In 2013 the club branched out into cycling, with a natural progression into triathlon following soon after, with three clubs now going from strength to strength under the Valley Striders banner. For much, MUCH more history of our club, our old website is something of an encyclopaedia on all things Valley Striders. Click the button below to access this treasure trove of information.